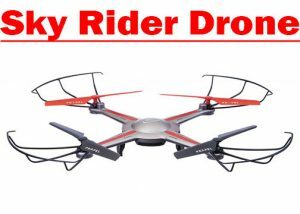 There are a number of drones out there but there aren’t many that are quite as intriguing as the Sky Rider drone. This is a quadcopter drone that uses the perfect aerodynamic shape and fairly powerful motor that make it easy for you to take center stage and handle with a flight controller, even if you’re just getting started in the world of drones. 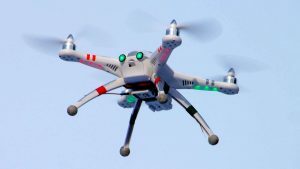 This is a new drone that is made to help you understand how a drone works and what you can do to control it the right way. 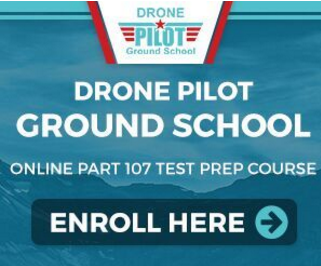 Designed with a series of basic controls and features through its easy-to-use remote control, it is made to be an introduction to the world of drones and make even the most novice drone operator look experienced. It is not too hard to use and should be sensible enough for getting up in the air without being too complicated for your use. Best of all, it runs efficiently and doesn’t require loads of maintenance on your part. The Sky Rider drone uses a basic x-shaped design. This quadcopter drone uses a good design with a red surface and a series of guards around the rotors. These keep the propellers secure and less likely to get in the way of anything. This is all designed with a basic look and arrangement that isn’t overly hard to utilize. The weight is balanced out quite well. The weight is extremely minimal. It is about 0.22 lb in weight. It is light enough to move around many spots with care but you should still be cautious when using it. You do not want to get the drone to move into tight quarters as it could be easily damaged depending on what you are aiming to do with it. The bolts used to secure the propellers are sturdy and keep it all secure without anything being at risk coming loose. This is a popular feature but, at the same time, you have to watch for how well the design works. You would have to get a screwdriver to take the key points apart with ease. This shouldn’t be tough to use but it is important to see that you’re not using anything too hard or otherwise rough. It’s not too hard to move the drone around. The Sky Rider drone uses a two-speed setup. You can move it at low or high speeds depending on your preference. 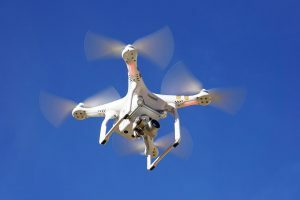 It can also work with a headless mode that moves the drone around without a singular front-facing direction, thus making it a little easier to organize and use. You can get this to go up to 150 feet from where you are. It can operate for about six to eight minutes on a full charge too. It only takes about 60 to 90 minutes to get it charged up as well. This offers a simple battery design that isn’t tough to use and can work fast and efficiently.